Perfume of balm-tree; singing birds delight. The lark flings to dawn his lyric notes. And what inspired psalmist have we here? From yonder elm-tree in the midnight hush? ’Tis the entrancing love-song of the hermit-thrush. “TWELVE LINEAR FEET.” For nonhistorians, these would have been mostly empty words: meaningless descriptors denoting, literally, the physical shelf space consumed by an archival collection. For Laura Laffrado, they were four full yards of Oh My God. 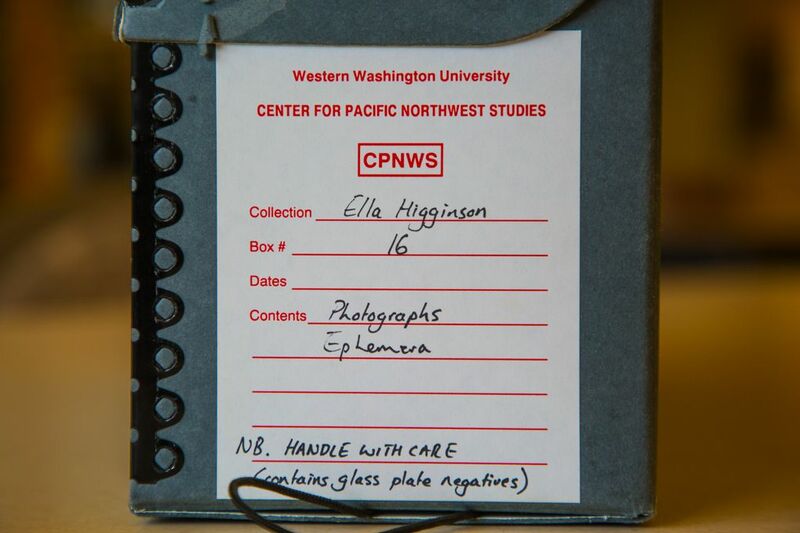 “Twelve linear feet!” she remembers, fluffing her untamable hair in feigned exasperation as she recalls that day in 2014 when Ella Rhoads Higginson — in her heyday, the greatest lyrical interpreter of the pioneer-era Pacific Northwest for the rest of the world — rose from the literary grave to whomp her upside the head, right there in that Bellingham archive. The items contained therein, freed from their boxed bounds, would prove a gold mine of poems, sonnets, short stories, screenplays, notes, letters, postcards, unpublished writings, editing notes, scrapbooks and personal effects of a woman who would turn out to have been both globally famous — and also, lamentably, completely forgotten, even before her death in 1940. These were the working papers of a gifted and industrious writer whose poetry and evocative character-rich stories had defined her culture and region for a quarter-century. Here was the home of the very literary essence of a female writer who did far more than enough to merit remembrance and even celebration, but instead had by cruel fate been banished to a writer’s worst fate — obscurity, going on permanent. It was almost as if Higginson and a close friend who survived her, bristling at the injustice of it all, had entombed those 12 linear feet in time-capsule form for what — surely — would be later redemption. 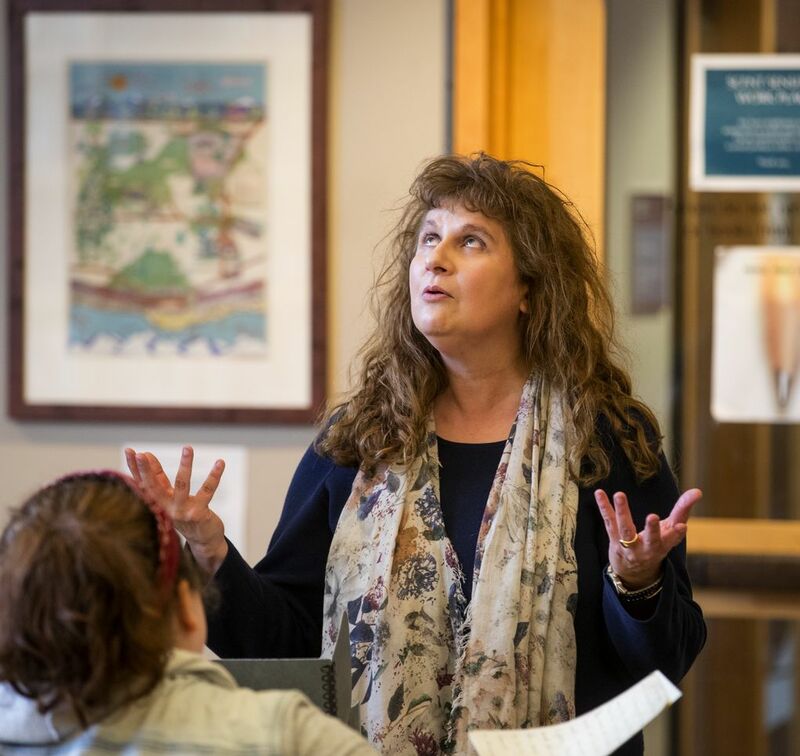 It is safe to say nobody expected to be that redeemer less than Laura Laffrado, a Western Washington University professor of English. Laffrado holds a Ph.D. in English and specializes in early American literature but is not ashamed to say that on that day, had no idea whom Ella Higginson was — or ever had been. “I had never heard of her,” Laffrado recalls. Today, Googling “Ella Higginson” will take you straight to Laffrado. Then, to a cheesy St. Patrick’s Day site quoting one of Higginson’s most famous poems, about a cloverleaf. Ella Higginson was not only dead and buried across town, but seemingly excised from the record. 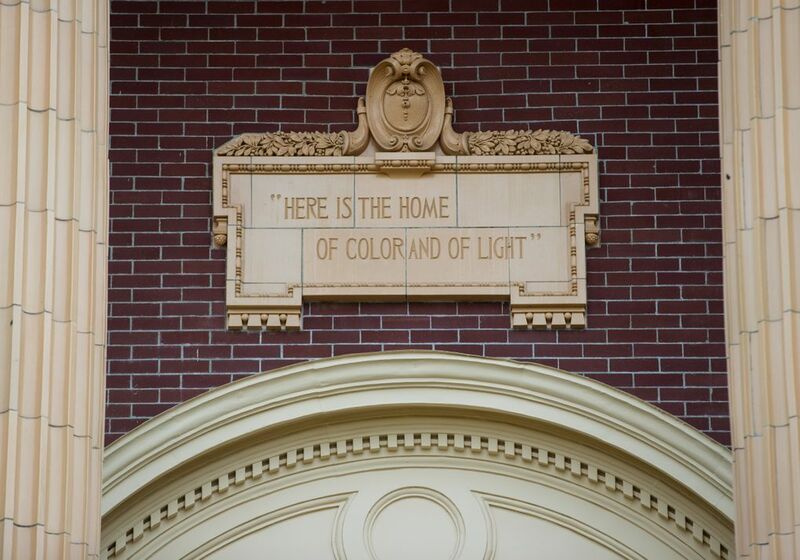 Here is the home of color and of light. Curiosity piqued, Laffrado began to blow thick layers of dust off the life story of a woman whose work soon would come to inform her understanding of Northwest literature; inspire her teaching; and, best of all, “recover” the work of a woman whose artful, nature-infused writings had painted the mental images of the Pacific Northwest for generations of nonresidents — particularly establishment East Coast Americans, for whom the entire place seemed some shaggy, gaseous netherworld that surely left moss-infused dirt beneath one’s nails. What she found was a story of painful irony: At the dawn of the 20th century, Higginson’s words and the place she loved were inseparable. Until they weren’t. 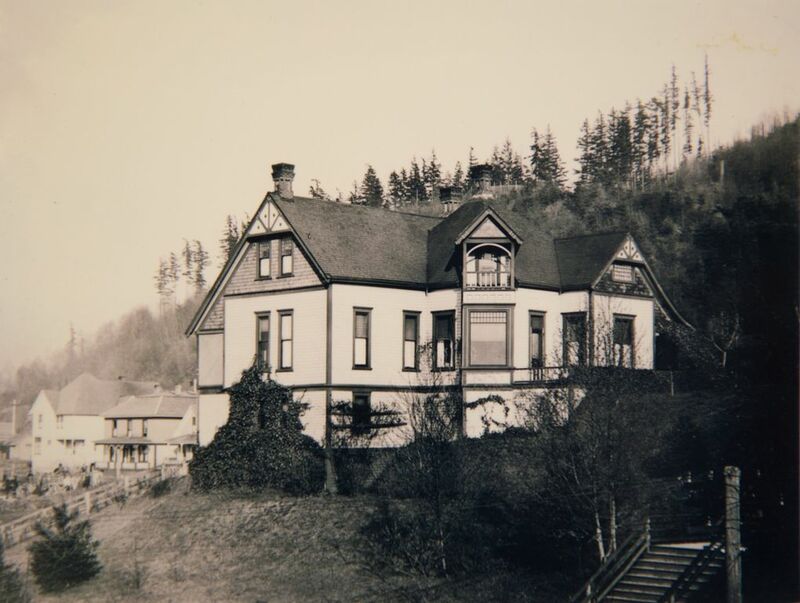 IN HER DAY, Higginson, who lived in a landmark, three-story Bellingham home at the foot of Sehome Hill, on the northwest flank of what now is the Western campus, was favorably compared to the greatest American authors of the time. 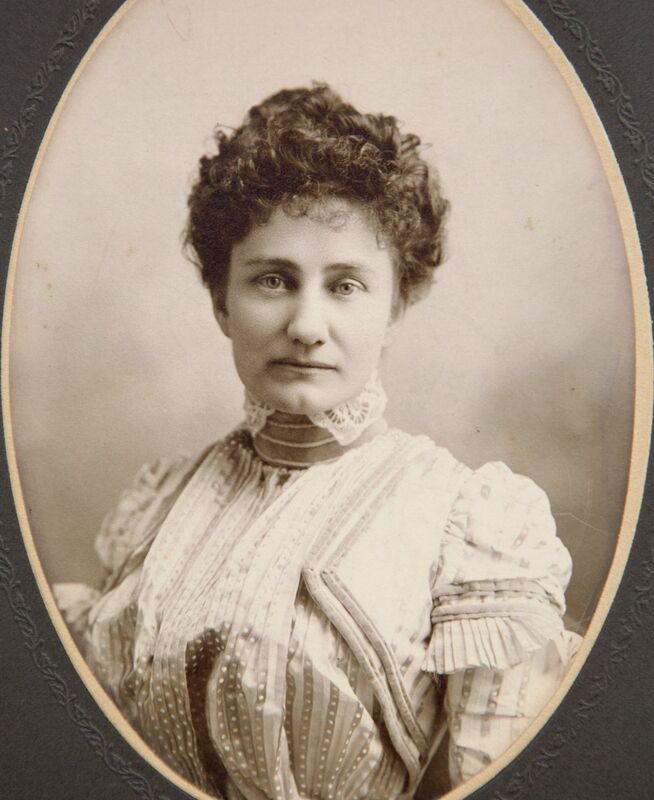 In a 1903 review of her crowning work, the novel “Mariella, of Out-West,” native Kansan Higginson was credited with annexing the Northwest to the nation’s literary map. Before the state Legislature even began bestowing such honors, she was selected by peers as Washington’s first Poet Laureate. 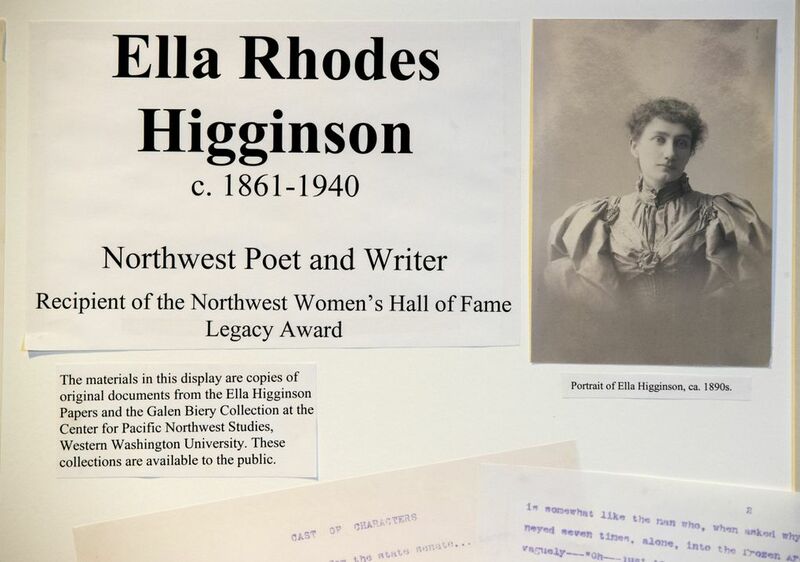 Her writing, as Laffrado notes in the introduction to “Selected Writings of Ella Higginson: Inventing Pacific Northwest Literature,” was steeped in the rugged physical beauty of the Northwest. She took on the role of pioneer native, and fiercely defended the sanctity and depth of a life in the Pacific Northwest against all critics — particularly those in “civilized” U.S. urban centers. But Higginson also both personified and chronicled the pioneer spirit of gritty, independent women in a region where 3 of every 4 people were men. Female suffrage, not achieved nationally until 1920, had been proposed in Washington as early as 1854, and was approved with some restrictions in 1910, Laffrado notes. Some parts of Alaska lull the senses drowsily by their languorous charm; under their influence one sinks to a passive delight and drifts unrestingly on through a maze of tender loveliness. Nothing irritates. All is soft, velvety, soothing. Wordless lullabies are played by different shades of blue, rose, amber and green; by the curl of the satin waves and the musical kiss of their cool and faltering lips; by the mists, light as thistledown and delicately tinted as wild-rose petals, into which the steamer pushes leisurely; by the dreamy poise of seabirds on white or lavender wings high in the golden atmosphere; by the undulating flight of purple Shadow, tiptoe, through the dim fiords; by the lap of waves on shingle, the song of birds along the wooded shore, the presence of soft winds on the temples and hair, the sparkle of the sea weighing the eyelids down. The magic of it all gets into the blood. IN A PUBLISHING career spanning 1894 to 1911, Higginson’s prose appeared in The Atlantic, Collier’s, Harper’s Bazaar, McClure’s and other leading periodicals alongside Mark Twain, Robert Louis Stevenson, Thomas Hardy, Sarah Orne Jewett, Harriet Elizabeth Prescott Spofford and Walt Whitman. Her most commercially successful work, the poem “Four-Leaf Clover” (1890) — an ode, she later explained, not to luck but rather industriousness — became her trademark. From 1900 to 1904, she wrote an engaging weekly literary column, “Clover Leaves,” for the Sunday Seattle Times. But the end of her productive writing career was ill-timed. World War I in many ways swept the board clean for U.S. arts and literature. The works of many authors popular in prewar innocence were never revived afterward. Higginson was not the only noted female author of her period to suffer this fate, as a publishing world run largely by and for men rebooted in the choppy wake of the Great War. But many other talented female wordsmiths of the time were later “recovered” by feminist-focused scholars. 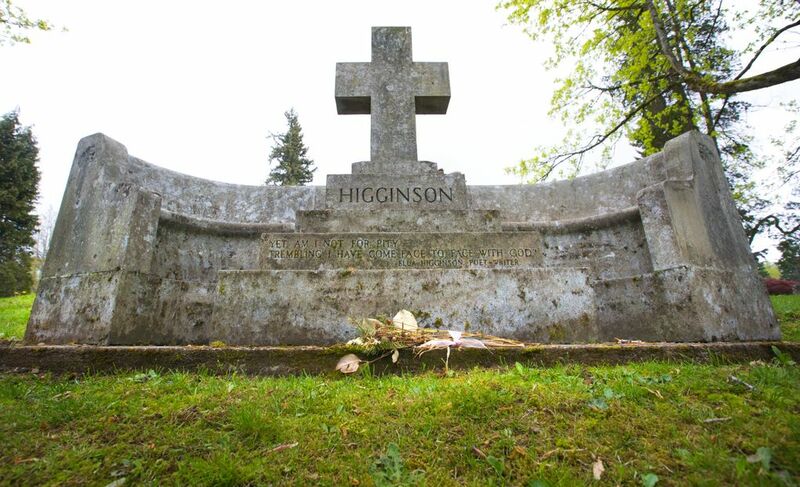 Not Higginson, whose papers, ensconced far away from the beating heart of the commercial literary world and much of academia, faded into obscurity. Even her personal circumstance conspired against her place in history. She outlived her husband by three decades and left no children to carry forth her legacy. One of the more tragic aspects of Higginson’s story, Laffrado soon discovered, was that she had not faded slowly into obscurity after her death. She experienced the fall. But for Laffrado, sadness over this injustice is balanced by what seems an unlikely bright future for a woman whose work has begun standing as a guiding light, as it should have all along. IN A NORMALLY hushed historical archive, shrieks of excitement are fairly rare. 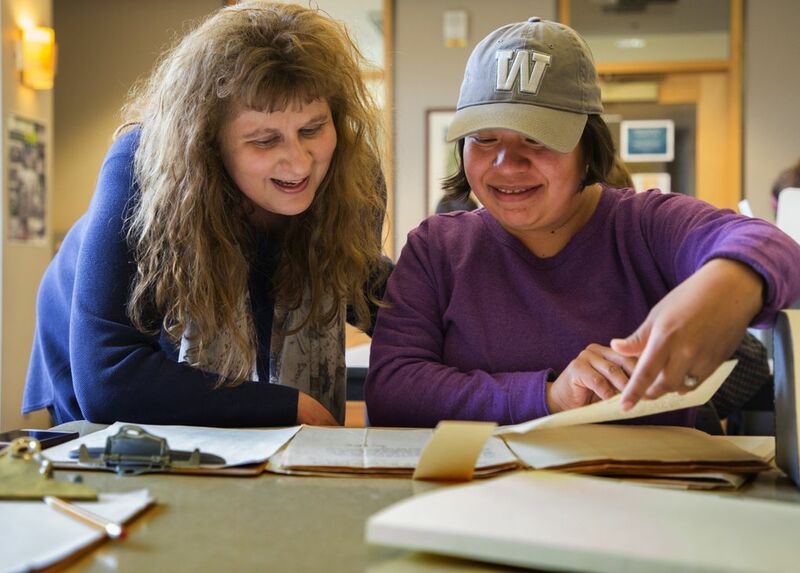 Just not on “Ella Higginson days” at the Goltz-Murray Archives Building in Bellingham, where those 12 linear feet are housed in the Center for Pacific Northwest Studies collection. That’s when Laffrado, several times throughout the quarter-long History 423 course on Higginson, brings the troops in to shuffle through the life of the person whose work they already have been devouring. 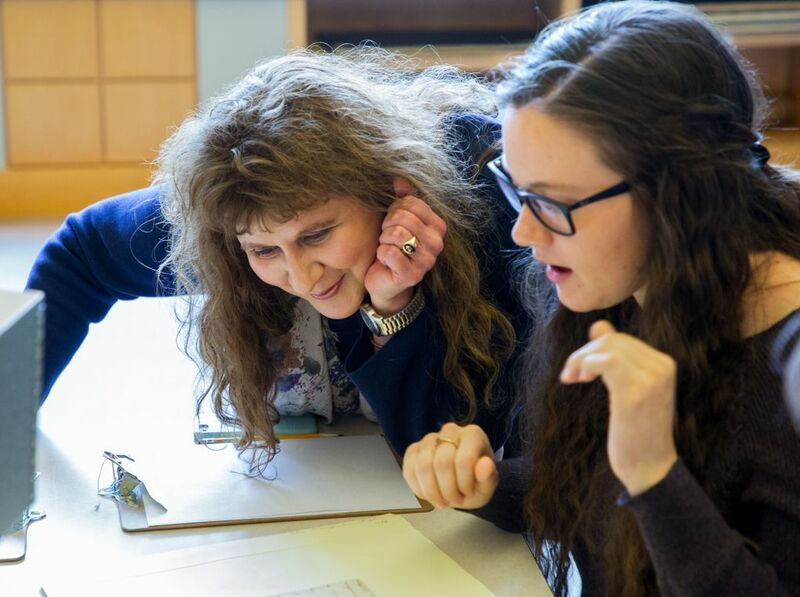 On one such visit, students get visibly excited by their discoveries — most of these already known to Laffrado, who struggles to exercise restraint and let the serendipity unfold on its own. 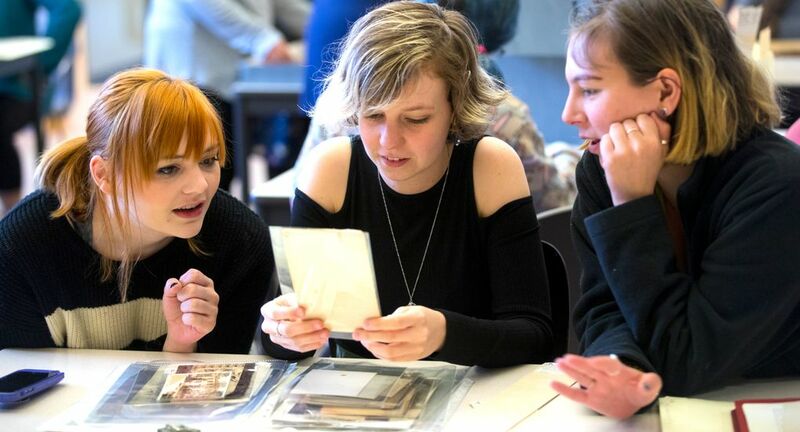 Students marvel over details found in letters, news clippings and scrapbooks. 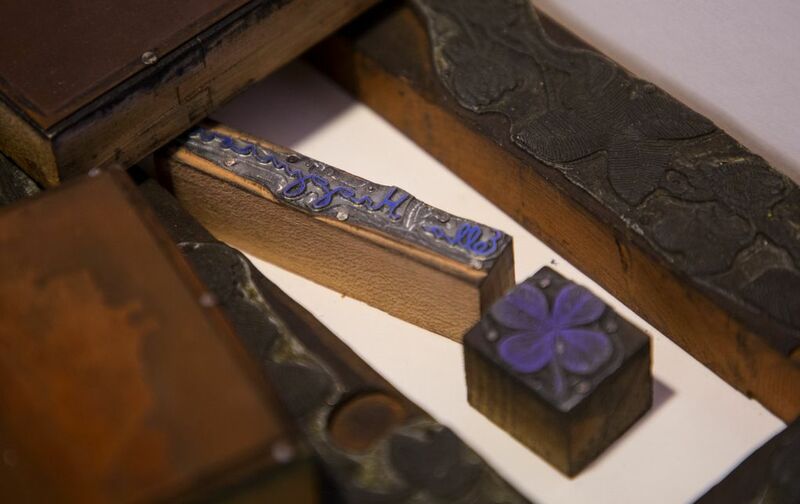 They handle Higginson’s personal signature stamp, her cherished Red Cross medal, and pore over original manuscripts containing edits in Higginson’s own hand. 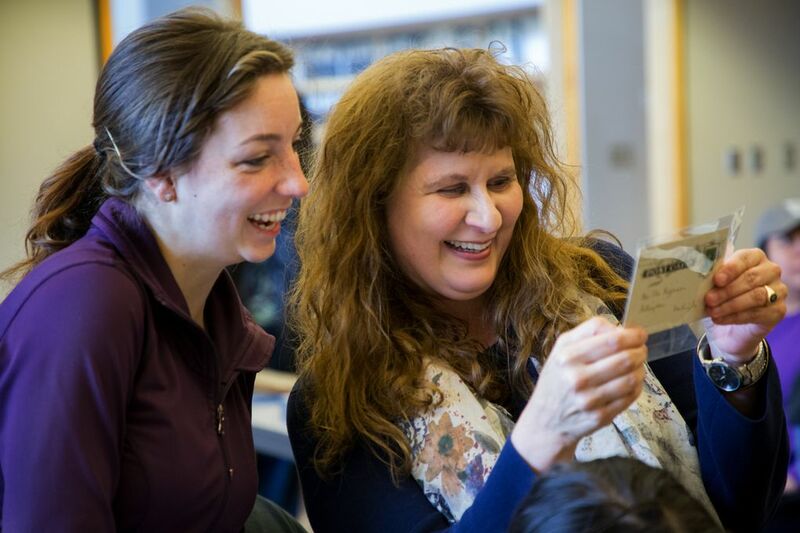 Student Cydney Dahl, 21, a senior from Bainbridge Island, says the course has been fascinating not just for insight into the writer, but the time period of the place she now lives. “Especially the gender roles, and roles of women,” she says. It sparks her interest in writing her own creative treatments set in the same era. “My grandmother was probably living this life,” Dahl says. Higginson’s own life is coming into clearer focus. 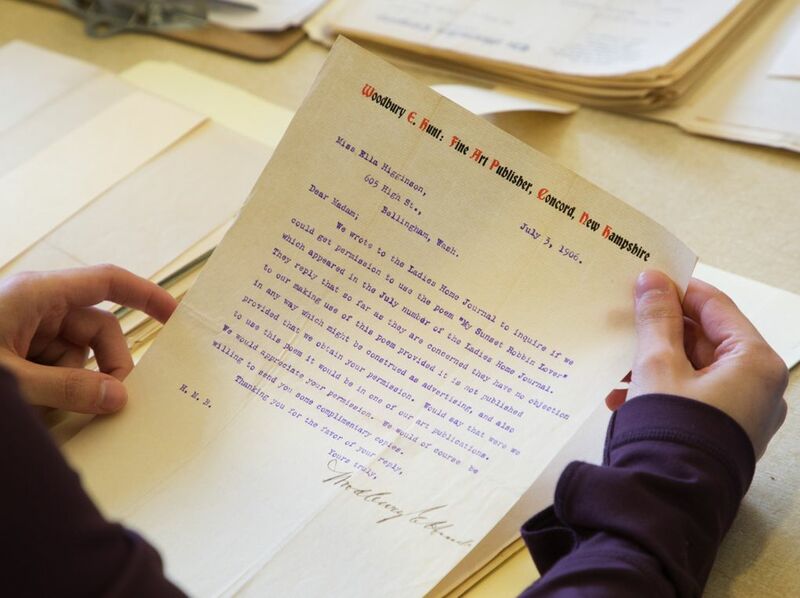 While it’s likely she destroyed many of her own letters — a practice not uncommon among writers of the era — new details make their way regularly to Laffrado via others inspired by her work. 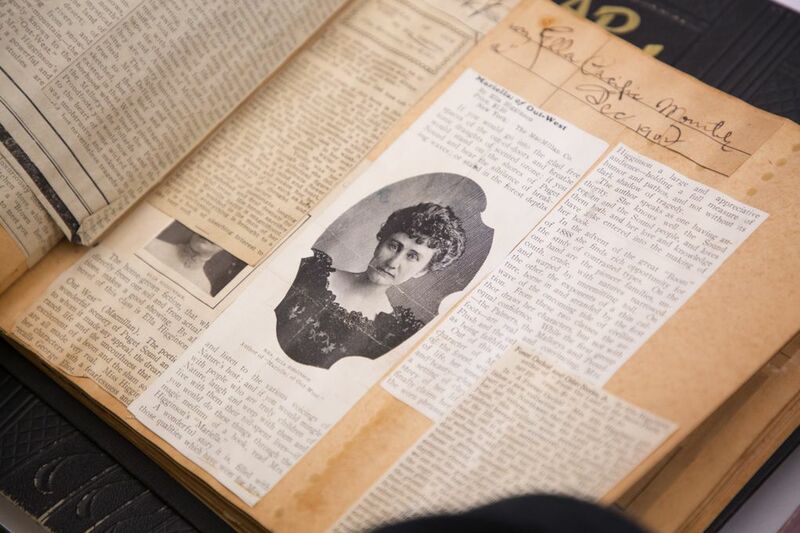 The professor has become a private collector of Higginson ephemera — pieces of Higginson’s life that Laffrado says were “scattered to the winds” after she died. 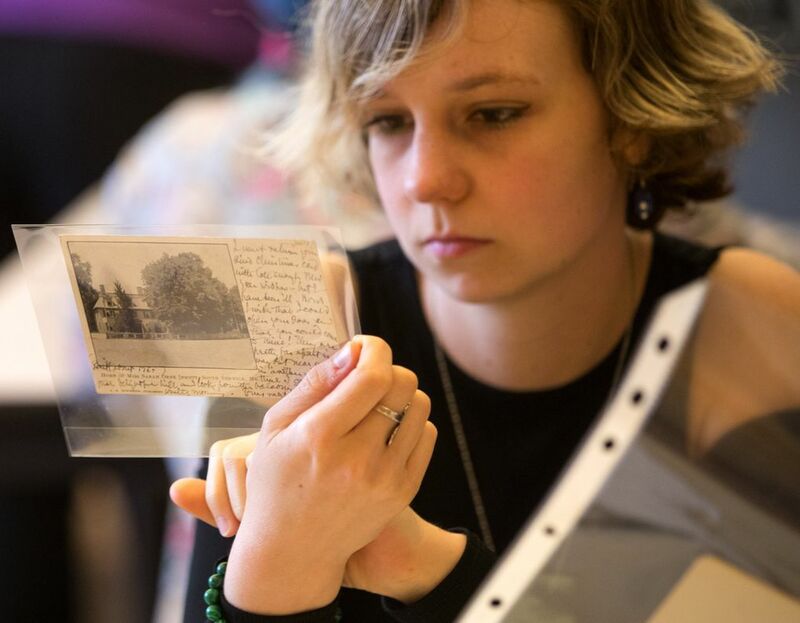 At a local sale, one acquaintance came across the late author’s inscribed fountain pen; the family of a woman who died recently forwarded to Laffrado letters and photographs Higginson had written to their mother when she was a small child. Laffrado also has scarfed up boxes full of original editions of Higginson’s published work, and laughingly blames herself for “driving up prices” on eBay. She continues to seek letters, little-known published works and other materials before they forever melt away into history. THAT ENTHUSIASM is infectious to her charges. 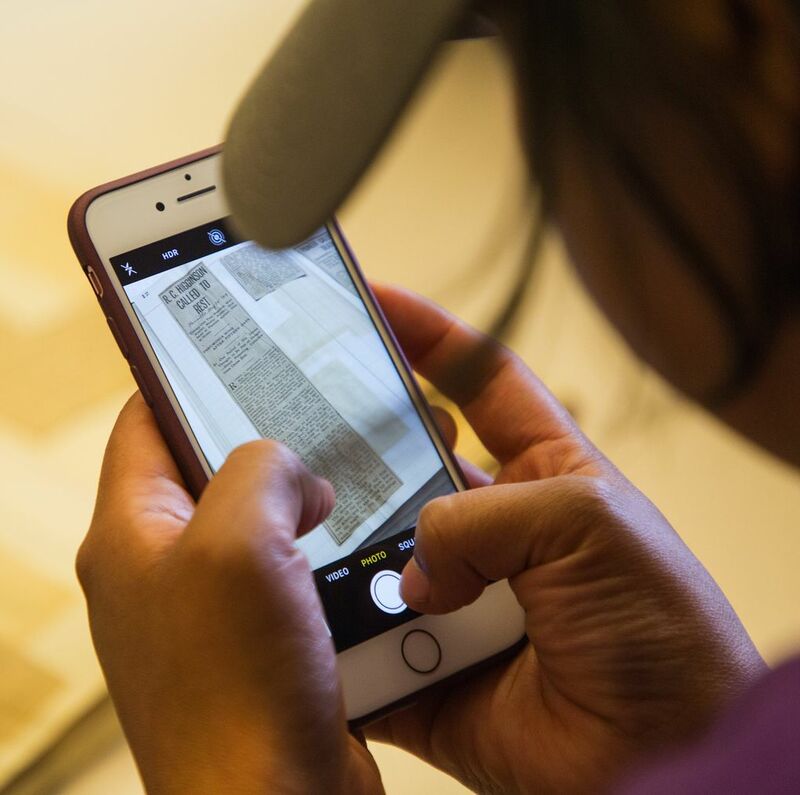 Placing such objects — all of which Laffrado ultimately plans to hand over to the archives for posterity — in the hands of students forms a visceral connection with the forgotten writer, Laffrado says. By the time they get to her class, most students have extensively read the works of other writers of the same period — but none with such tangible connections to themselves, and certainly not their place of residence. “It’s as if they are looking at themselves in a mirror,” Laffrado says. For many, the experience is unique. Laffrado’s students have started a Higginson blog and established a social-media presence for the late writer. 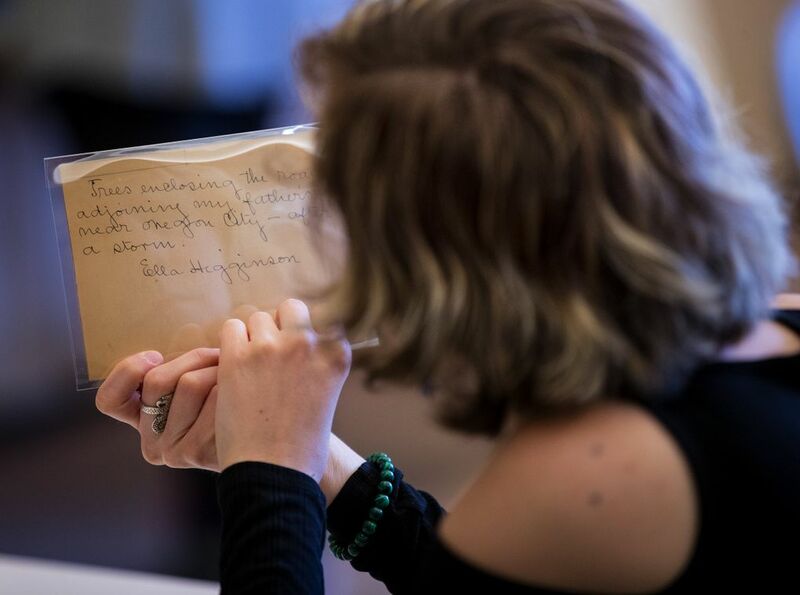 The blog’s editor, student research assistant Marielle Stockton, says it’s clear that Higginson had her own flaws as a person and writer, but believes the recovery of her writing is important. A local, mostly female film-production company, Talking to Crows, is now at work on an adaptation of “Just Like the Men,” a screenplay penned by Higginson in 1912, about helping a friend, Frances Axtell, become one of the first of two women elected to the state House of Representatives. 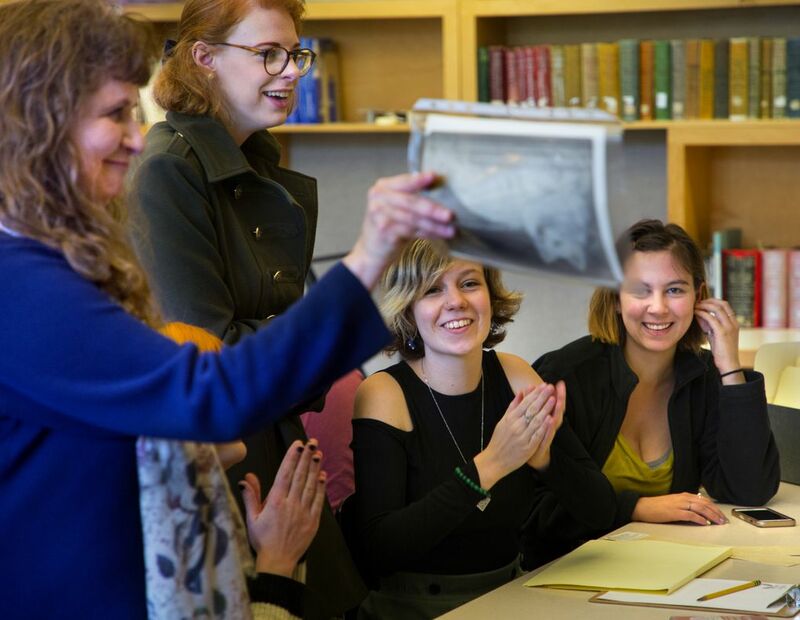 Earlier this year, a campaign to raise $25,000 to commission a larger-than-life bust of Higginson was successful; it will be installed in the reading room at WWU’s Wilson Library next year — a rare example, Laffrado notes, of an honored forebear not clad in suspenders and necktie. 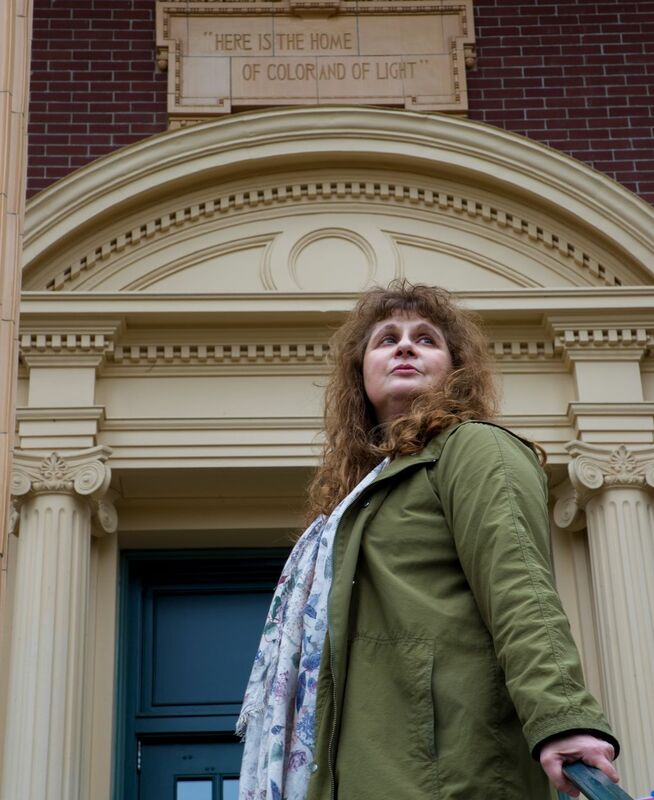 It’s a fitting tribute, she believes, to a woman famous enough to have her words inscribed on what a century ago was one of the most prominent buildings on a campus near her longtime home, which she called Clover Hill, demolished in the 1960s. Today, the only sign of that estate is a large glacial erratic rock, between Mathes Hall and the Viking Union, protruding from the ground. Along a ridgeline at the top of the rock is a fissure, over time filled with soil. 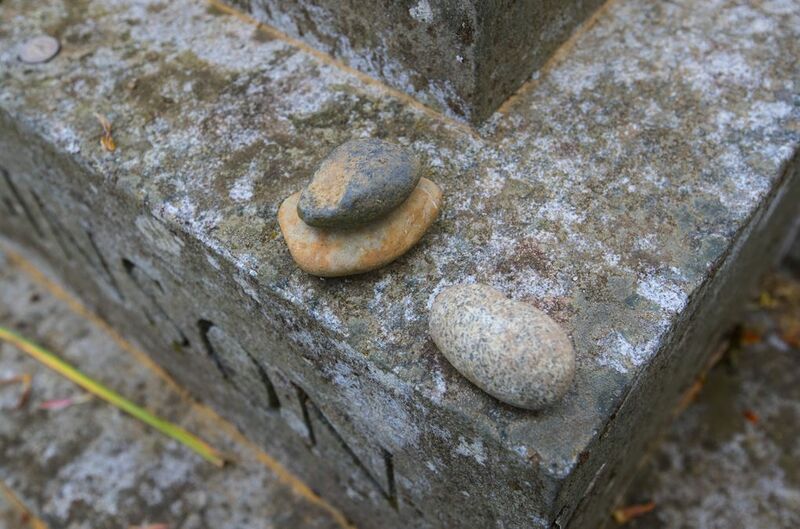 As she showed the site to visitors this spring, Laffrado paused and did a double-take. Growing out of the crack was a flash of green somewhat different from surrounding grass — a clump of healthy clover leaves. “Would you look at that?” she says. She’s not necessarily one to believe in signs. But she is one to post them along a student’s path. At the end of another lively discussion in one of her Higginson classes a few hundred yards away, Laffrado gathers her things as students continue their banter about Higginson’s work on their way out the door and into futures now informed by the reawakened wisdom of a leading voice from their past.